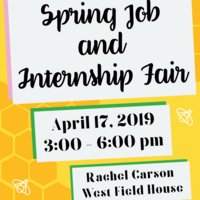 The Spring Job and Internship Fair is an excellent opportunity for employers to meet hundreds of students from a variety of majors seeking employment opportunities. This event can provide companies with talent for entry-level positions, internships, and summer jobs. UC Santa Cruz students offer specific job skills, knowledge developed in a rigorous academic major, and the breadth of a well-rounded education.